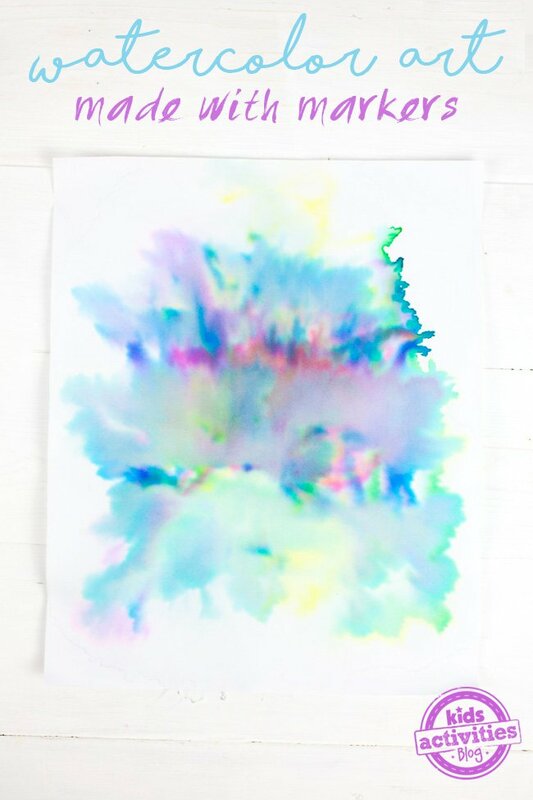 Do your children love to color? Mine sure do! In fact, my oldest son recently remarked, “There is nothing better than a box of new markers and a fresh stack of white paper.” I have to agree with him, but I also think it’s fun to change things up once in a while. Boy, was he surprised when I left a box of new Sharpie markers and a stack of aluminum pans on the art table. 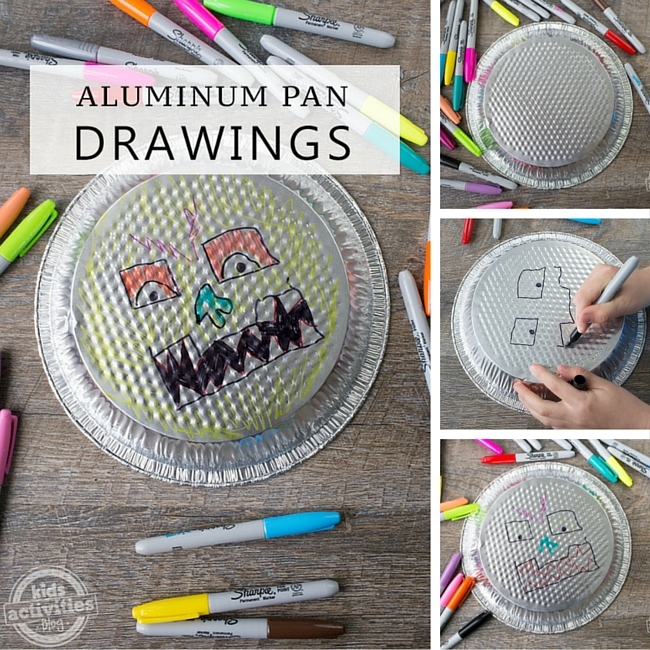 Creating Aluminum Pan Drawings was fun, exciting, and something different to try! 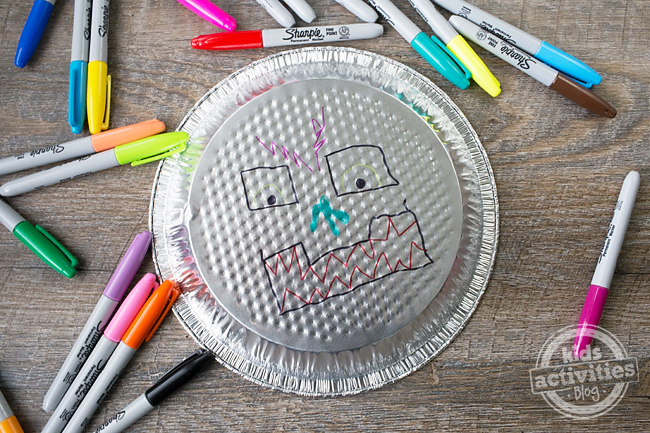 Kids will have an unforgettable art experience when they combine vibrant Sharpie markers and shiny aluminum pans. 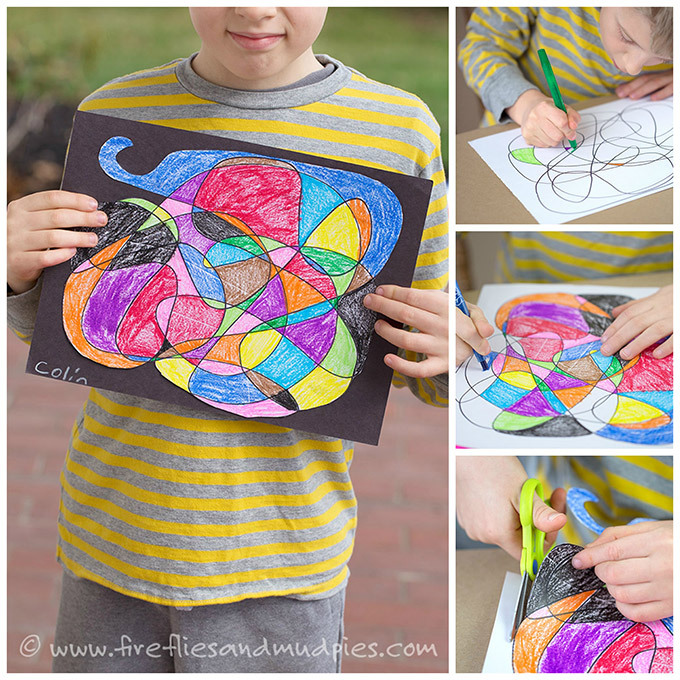 Perfect for home, school, or camp, this craft is easy for kids of all ages. 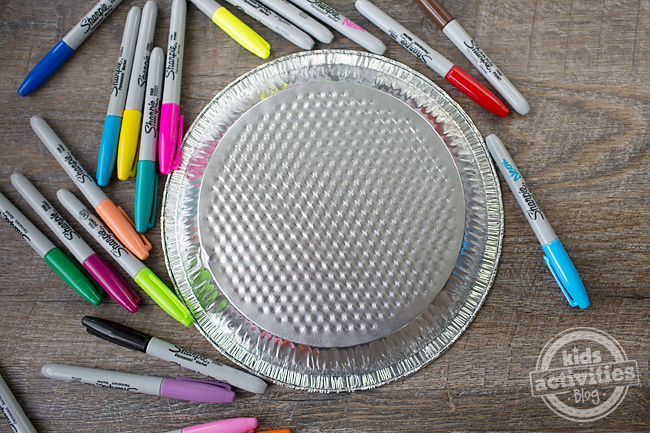 After gathering supplies, invite children to color on the aluminum pans. 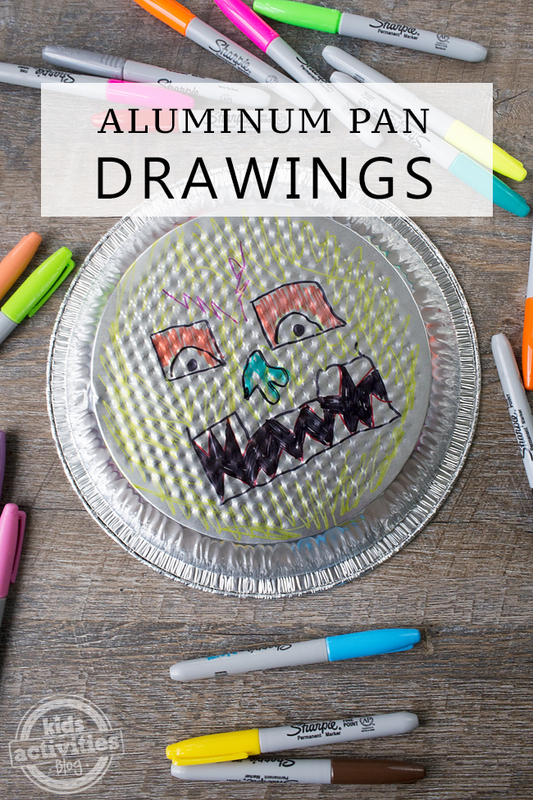 Some kids may enjoy creating robot faces. Others may enjoy coloring flowers, nature scenes, or their favorite cartoon character. The possibilities are endless! 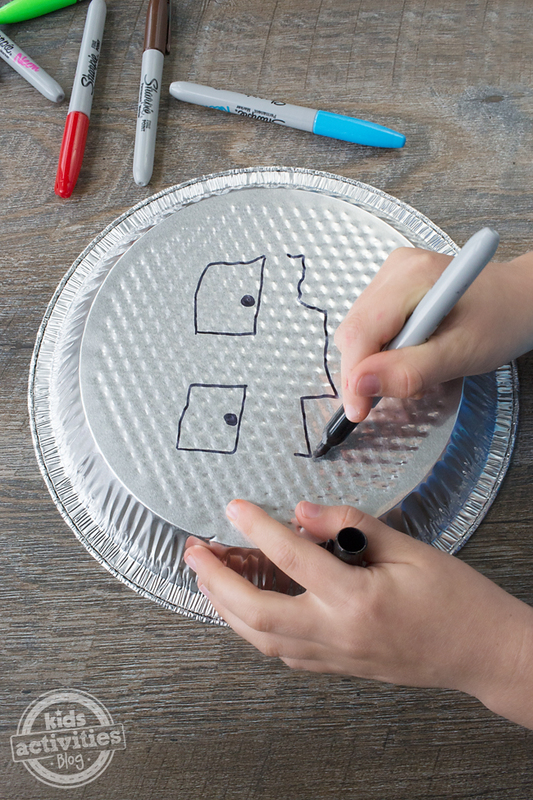 Hang the aluminum pan drawings on the wall with a string or from a pole in the garden to keep birds away. Previous Post: « 5 Summer Sides for a Weekend BBQ!